Enhance the performance of your laundry room appliances and fix all problems you’re facing. 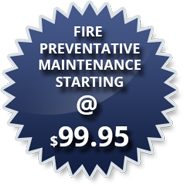 We repair both gas and electric dryers. We are highly trained and certified, offering maintenance and repair for all the top brands and styles of refrigerators. Let us help get your oven working properly again so you can get the most from your home-cooked meals. We service all brands of appliances. We will keep your dishwasher in peak condition with our expert repair services. There is no job too big or too small for us to handle. There are numerous parts to your garbage disposal that may need a repair, and there are tell-tale signs that a service is needed. For more than 40 years, we have provided professional and dependable service on a wide range of home appliances and products. We work on all major brands and strive for complete customer satisfaction from the beginning to the end. Our company has the highest ratings on Angie’s List, Better Business Bureau and the National Home Service Association. Our trucks are fully stocked with factory replacement parts for one stop service. We carry the highest quality of appliances from top brands, including Whirlpool, Kenmore, and more. We offer same day and next day service in most cases to get your appliance back up and running promptly. Evening and weekend appointments are available for your convenience in South Jersey. 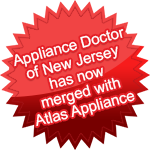 May 2018 – we are happy to announce the merger of Appliance Doctor of New Jersey with Atlas Appliance! Our merger provides our customers with 80 years of experience, with continued exceptional service! Call us today!